Propel, the platform for future brands, and Productsup, the leading cloud-based product content syndication solution for e-commerce, are announcing the integration of their offerings to ensure timely and accurate product content across all B2B and B2C sales channels. Customers can use the new offering to publish the latest product data to field sales teams, distributors, suppliers, brick and mortar stores, and e-commerce channels like Amazon, Google and Alibaba. By streamlining the flow of product data from Propel’s Product Lifecycle Management (PLM) and Product Information Management (PIM) solutions, as well as Salesforce CRM and leading e-commerce platforms, companies can better coordinate product launches across engineering, marketing, sales channels, business units and regional markets. Businesses have always been challenged with communicating their latest specifications, bundles, pricing and other product information to distributed sales teams, partners and markets. The rapid growth of e-commerce has further strained the ability of companies to keep all their sales channels in line. With Propel and Productsup, businesses now have the technology they need to reduce risk, save time and increase revenue. “Together, Propel and Productsup take the worry out of guessing whether your data is updated and consistent across all channels. Propel and Productsup ensure accuracy, boost sales and drive growth in market share,” said Marcel Hollerbach, VP of Marketing at Productsup. Propel is the platform for future brands. The company helps brands like Desktop Metal, Samsara, and Peak Design get to market ridiculously fast by enabling collaboration across teams, divisions, partners and customers. 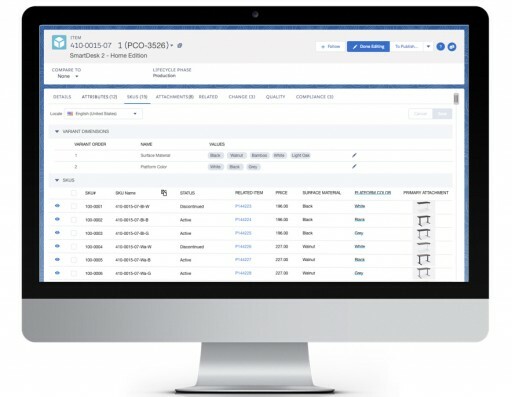 Propel uniquely combines Product Lifecycle Management (PLM), Product Information Management (PIM), and Quality Management Solutions (QMS) into one system, natively built on the Salesforce platform. The company is backed by leading venture capitalists such as Cloud Apps Capital Partners, Signalfire and Salesforce Ventures, and is headquartered in Santa Clara, California. Productsup is a leading solution for product content integration and syndication. The cloud-based software interconnects product content from brands, retailers and third-party data suppliers to unlimited marketing, shopping and B2B retail channels around the globe. Productsup enables commerce businesses to stay agile in an ever-changing and complex omnichannel market environment, in order to be at the forefront of digital transformation and capture new market opportunities as they happen.